This book is designed for the medievalist interested in contemporary criticism but cautious about its limits. The volume’s essays are not designed to offer rereadings of familiar texts, but to address the problems of articulating tradition and contemporary theory. 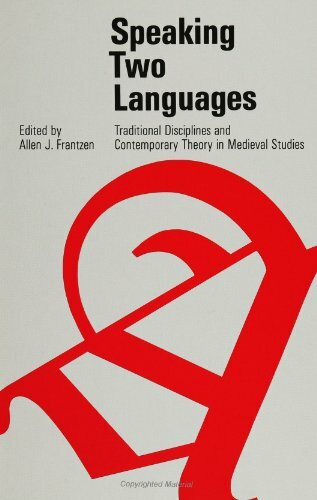 Each contributor interprets critical methods as consciously chosen and spoken “languages,” and explores the consequences of combining a traditional and a contemporary method, and hence, speaking two languages. Each essay includes a critical bibliographical note pointing to further reading in the languages it employs. If you have any questions about this product by SUNY Press, contact us by completing and submitting the form below. If you are looking for a specif part number, please include it with your message. By The Red Sea Press, Inc.